Carry a subtle nod to Marvel's tortured vigilante, the Punisher. 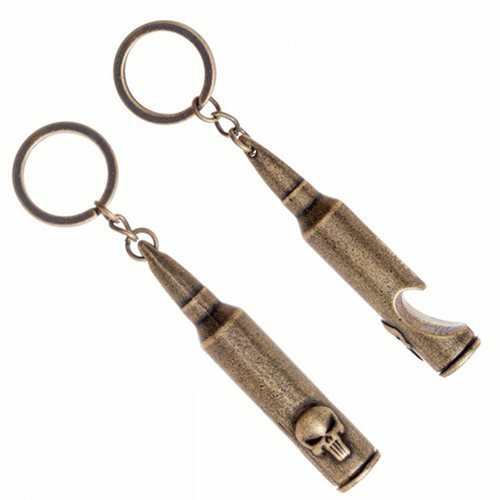 This Punisher Bullet Key Chain not only looks like a replica bullet with the Punisher's skull logo, but it doubles as a bottle opener! Ages 14 and up.